If you've been following my blog for a while, you know by now that I have a combination to oily skin. But when I went to NYC, my skin dried out like nothing else. My l'Oréal gel moisturiser did not help at all, so I had to find a solution which hydrated my skin without making it burst out into oils. 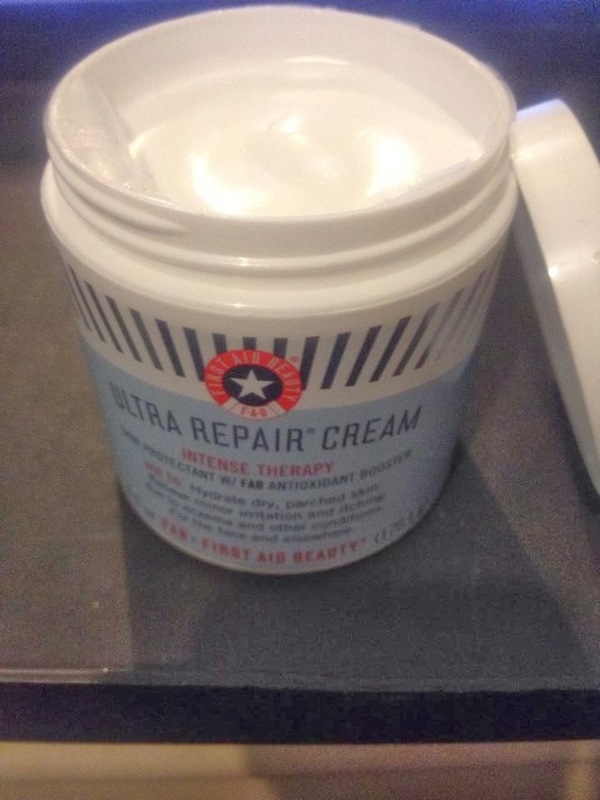 I found the First Aid Beauty Ultra Repair Cream at Sephora. I've heard about it onlline and it has gotten a lot of good reviews, so I thought I'd give a fair chance. If I didn't like it for my face, I could still use it for my body. As soon as I opened it, I was surprised it looked like a thick cream. Yes, it would give back the moisture I need, but will it make me look shiny as well? Luckily it didn't. It's probably due to the cold weather I had there. Back in Belgium, where it's not warm but not as cold in NYC as well, I tried this out on my skin. It's fragrance free, free of parabens and it's safe for those with sensitive skin. I bought a travel size as well in case I would like it. Turns out I kind of love it! I'm also bought the cleanser, which received good reviews as well. I'm excited to give that one a try and I'll keep you all posted on it!